At first glance Jane Elliott is all grandma: There’s the crown of fuzzy white hair, the wire-framed spectacles, the deliberate but steady gait, and the wisdom lines that punctuate her alabaster face. But step inside her cozy, sun-drenched home in a gated senior community near Sun City, California — likely one of the whitest zip codes in America — and she shatters all senior citizen stereotypes. It’s probably safe to assume that not many 80-something, white women from Iowa can say they’ve made a “cameo appearance” in a rap music video (she’s a “real life American hero,” Grammy winner T.I. has said), and even fellow Atlanta MC Killer Mike has gushed over meeting her. The titles in her bookcase, situated along a far wall in her homey living room, may hint to why they find her so fascinating: "The New Jim Crow" by Michelle Alexander; "White Awareness" by Judy H. Katz; "Losing the Race: Self-Sabotage in Black America" by John McWhorter; "Blinded by the Right: The Conscience of an Ex-Conservative" by David Brock; and most importantly — in her eyes, at least — "The Myth of Race: The Troubling Persistence of an Unscientific Idea" by Robert Wald Sussman. His track record of doing so, she insisted, makes him “hardly the best person to deal with criminal justice.” As for the Donald, she’s got even fewer nice things to say, asserting that the “reckless and bigoted remarks” he and his supporters have made have forced America to take “drastic steps backward after only seven months” into his term. Her perspective is not surprising considering that for nearly a half-century she has reigned as one of the most outspoken social commentators and well-known race scholars on the planet. Somehow she manages to speak as passionately and candidly about America’s deep-seeded racial problems today as she did 49 years ago when her unconventional and controversial racism “exercise” catapulted her into the national spotlight. “I created a microcosm of society in my third-grade classroom on April 5, 1968,” she said, speaking of the iconic day, the day after the civil rights leader Martin Luther King Jr.’s assassination, when she was inspired to create what would become known as her famed “Blue-Eyes/Brown-Eyes Exercise.” Her life’s work landed her on "Oprah" five times, inspired more than a handful of documentaries and has been credited as the impetus for the “diversity training” that many corporations and educational institutions still host for their employees today. Elliott’s reflections on America’s racial discord is reminiscent of that of President Barack Obama’s during his January farewell address to the nation. He asserted that “race remains a potent and often divisive force in our society” and that the “vision” of a “post-racial America” that emerged after he was elected the nation’s first black president eight years before was well intended, but sorely unrealistic. “Racism is only, as we practice it, about 500 years old,” said Elliott. “We could destroy it, if we chose to. But that would take education." Elliott did just that, on that chilly April morning, as a third-grade teacher in tiny, nearly all-white Riceville, Iowa. Her students had wanted to know why “that King” guy had been killed and why black people — called Negroes at the time — were so upset about it. Inspired by the Sioux Indian prayer, "Oh Great Spirit, keep me from ever judging a man until I have walked a mile in his moccasins," she decided it was time to teach them a very literal lesson about what it feels like to be discriminated against based on a physical attribute that they cannot change. Her class was all white, so instead of skin color she divided the students by eye color for two separate school days. First, the brown-eyed students were given special privileges and told they were smarter, nicer, neater and better than those with blue eyes. On the second day of the exercise, the roles were reversed and Elliott saw a similar effect when the blue-eyed students were treated better, but she also noticed that many of them seemed slightly more empathetic toward the brown-eyed kids after having been targets of discrimination — evidence, she said, that the scars of racism run deep. Ultimately, her bold exercise divided her town and her own children were harassed so much by classmates and teachers that her family had to relocate to a nearby town. She was thrust into the national spotlight and within a few weeks, she was on an airplane (for the first time, actually) flying to NBC studios in New York City for her first national interview; "The Tonight Show" with Johnny Carson. Upon her arrival, she said the producer insisted that she keep the interview upbeat. “I said, ‘Why?’ and he said, ‘Because our people don't want to be depressed,’” recalled Elliott. “I said: ‘Well, why am I here then? I can't think of anything that isn't depressing about racism.’ And he said, ‘Don't worry, we're going to ‘punch it up.’ I said: ‘Well, I'll stay then. I've never seen racism punched up.’"
In the nearly five decades since, she has traveled the world from Canada and Scotland to Berlin and Australia and across the United States speaking and sometimes conducting a variation of her Blue Eyes/Brown Eyes Exercise with adults and young adults at schools, universities, government agencies and corporations. The reaction from adults is usually stronger and more dramatic than the ones from her students who participated first. Her experiences are detailed in her book, "A Collar in My Pocket: The Blue Eyes Brown Eyes Exercise." She said her overall objective is to educate others — especially white people — about the harmful effects of racism. Elliott said the racial clashes that erupted during the most recent presidential elections spoke volumes about the depth of America’s racial divide. “This is the most Hitlerian administration I've ever seen,” she said. “This man is talking about racial cleansing." Trump’s presidency, she said, has only exacerbated an already chronic problem. Elliott said the concept of race — particularly that one group of humans is superior over another based on skin color — is a myth that must be destroyed. Elliott says the Black Lives Matter movement is “the most important thing to have happened on this continent since Martin Luther King Jr.” And addressing heightened tensions between law enforcement and members of black, brown and economically-disadvantaged communities, she said, begins with education. Look no further than the controversy that has swirled around former San Francisco 49ers quarterback Colin Kaepernick since his silent pre-game protest during the national anthem, as an example. “He did the right thing; now, he must suffer the consequences for being right,” she said, referring to his recent challenges find employment in the NFL. Still she wonders aloud if any substantive change will happen in her lifetime. 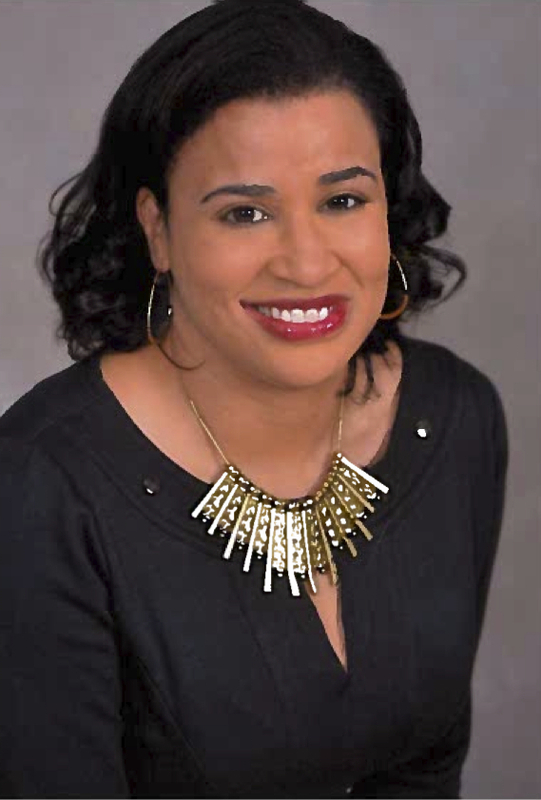 NBCBLK contributor Chandra Thomas Whitfield is a multiple-award-winning multimedia journalist and a recipient of a 2016 Clarion Award from The Association for Women in Communications. You can read more of her work on Facebook at Chandra Writes.